EMP is a member of RIPA and is recognized as a top-end supplier of industrial labels and decals for aggressive industrial and commercial environments. 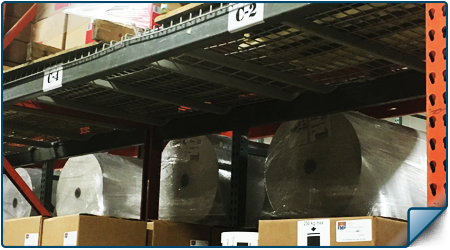 EMP industrial printed labels are designed to adhere to electronics, machinery, warehouse bins, barrels, floors, storage racks, IBC containers, chemical drums and corrugated surfaces. They have a long, durable lifespan and can be printed with UV inks for extra-long life and fade protection. EMP industrial labels can be customized to suit our customers' most exact specifications and come with a range of features. 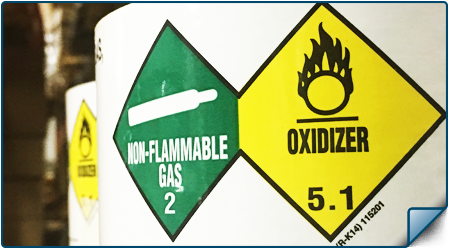 We also carry a wide range of stock industry standard labels that meet all UN, GHS and OSHA standards. EMP’s industrial printed labels and industrial decals are made with sturdy, high-tech materials that function well indoors, outdoors and in extreme temperature environments. Materials include polyester, plastic, vinyl, polypropylene, tag and other high-performance stocks, laminates and coatings.